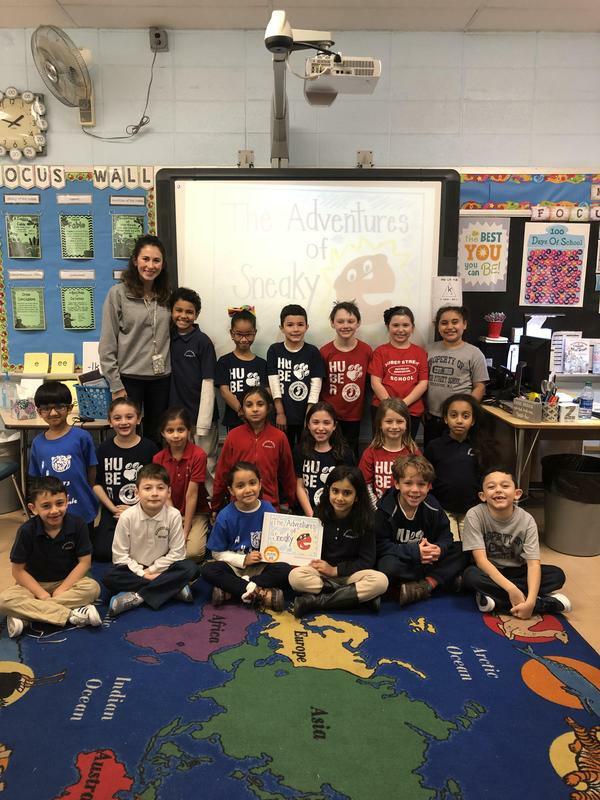 Ms. Zaller’s Second Grade Publishes a Book. Students in Ms. Zaller’s second grade class published their first book! The students worked as a group through the writing process, planning, drawing, drafting, revising, and editing different aspects of their story. The story is titled “The Adventures of Sneaky”.